SCCM Technical preview 1901 is released and there are lot’s of new features baked in this version. I am happy to see one of my user voice item “DP Maintenance Mode” is added as feature. Thank you everyone who voted to my request and thanks to product team for considering it. There have been many tech preview versions released so far. Here is a table that lists all the technical preview versions. Note that this is a technical preview version 1901, so install it only in your lab setup. The tech preview versions are intended only for testing new features. Do not install it in prod setup. Let’s now see best features added to SCCM tech preview 1901. Note that I have picked up the top 10 features from this update. 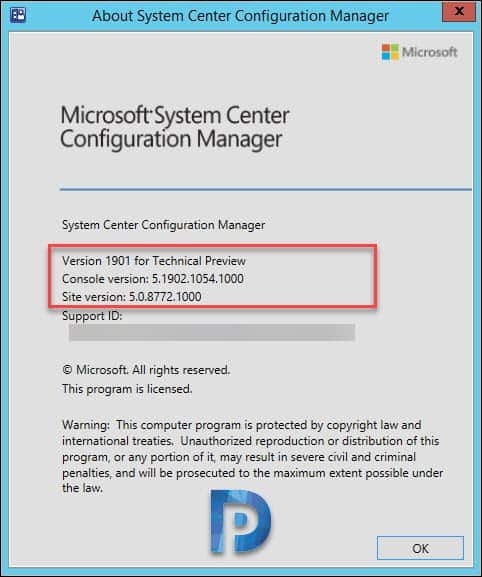 To know all the features included with ConfigMgr tech preview 1901, read this article. 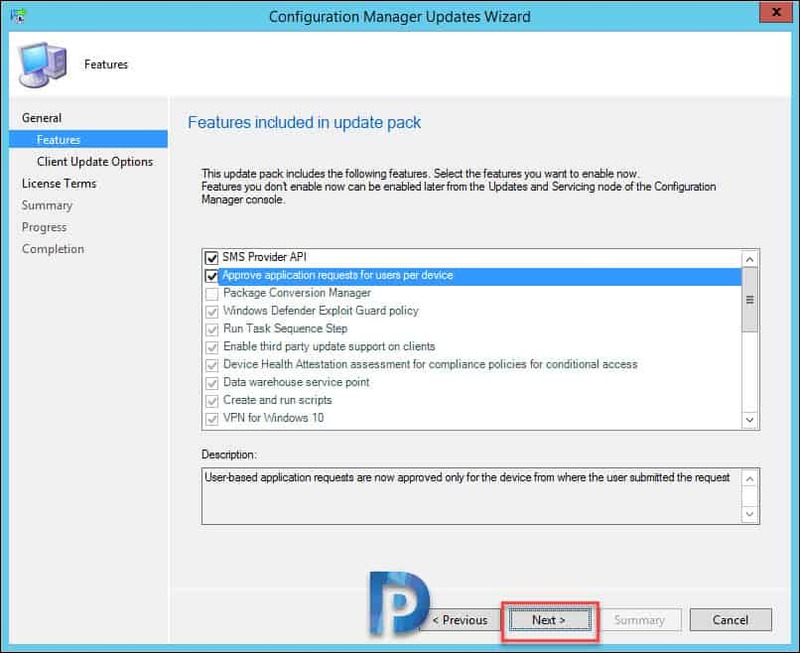 Before we take a look at ConfigMgr Technical preview 1901 new features, let’s look at the update installation. Since the update 1901 is released for everyone, it should be available in Updates and Servicing node. If you don’t see the update, you can check for updates. 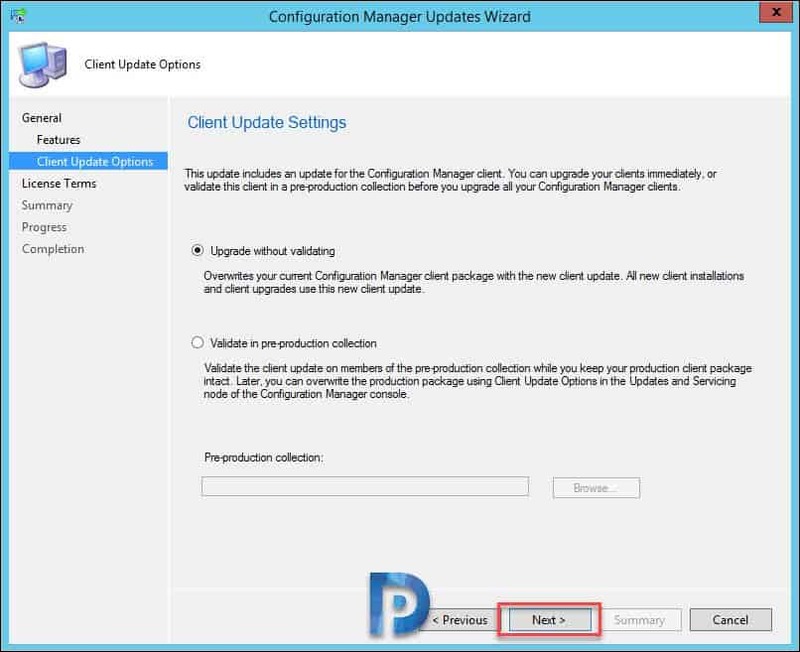 Right click Configuration Manager Technical Preview 1901 update and click Install Update Pack. Select the features that you want to enable. Click Next. As this a technical preview version, I will go with Upgrade without validating. Click Next. Go Monitoring > Updates and Servicing status. 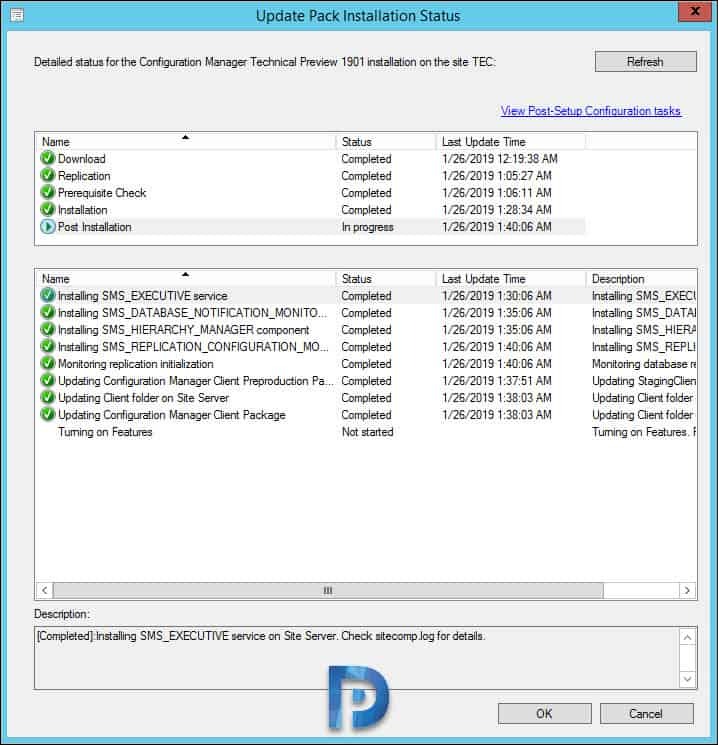 Right click SCCM technical preview 1910 update and click Show Status. Refresh the console once and you see new version of console available. The SCCM console version 5.1810.1067.1000 will be upgraded to 5.1902.1054.1000. 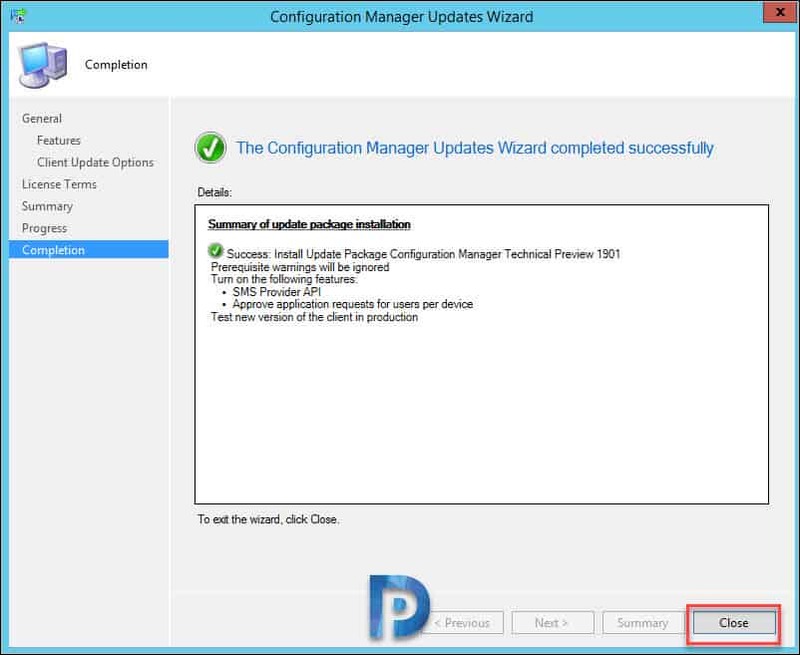 Click OK.
Post the console upgrade verify the version on SCCM installed. Click About configuration manager. Version – 1901 for Technical Preview. 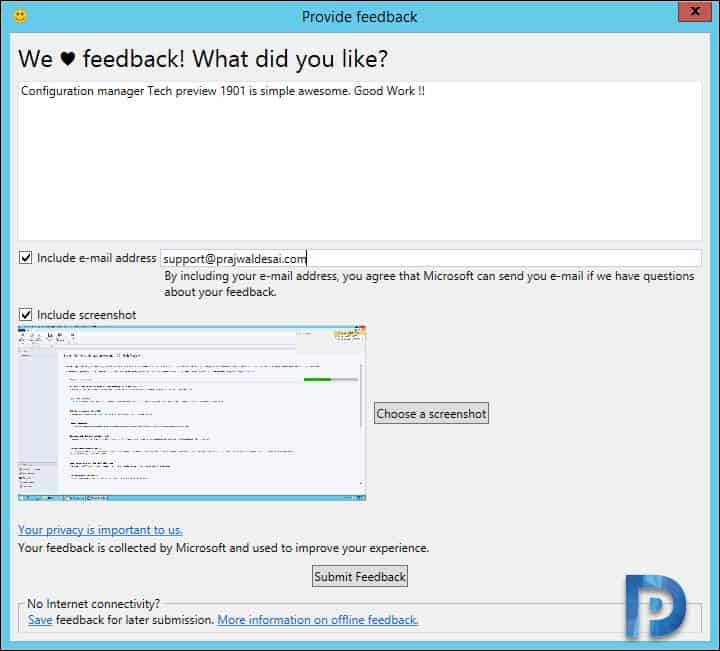 We will now look at new features included with SCCM technical preview 1910. A detailed explanation of SCCM technical preview 1901 features are documented here. 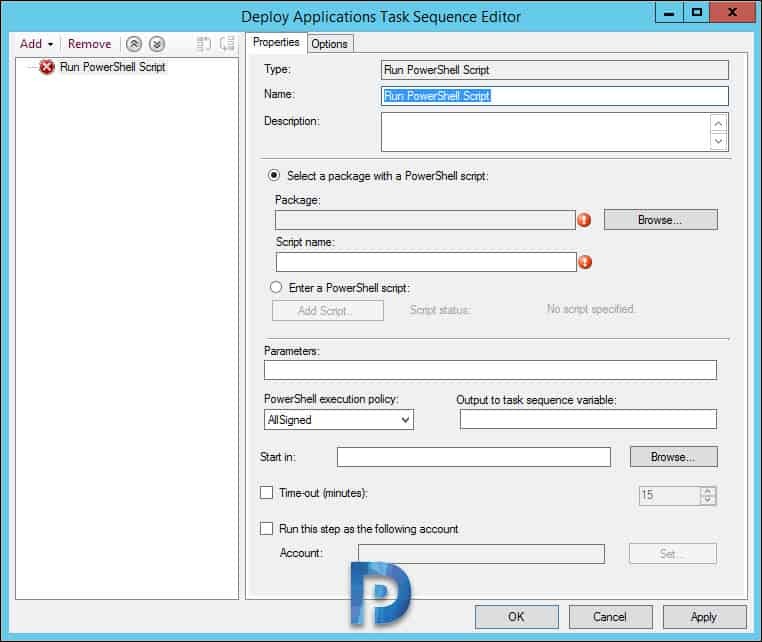 When you add a Run PowerShell script step to TS, you see several new options. You can specify alternate user credentials with the option to Run this step as the following account. Time-out (minutes) – This option ends the step if the script runs past the timeout value. Specify a working directory with the Start in field. On the Options tab, specify Success codes. 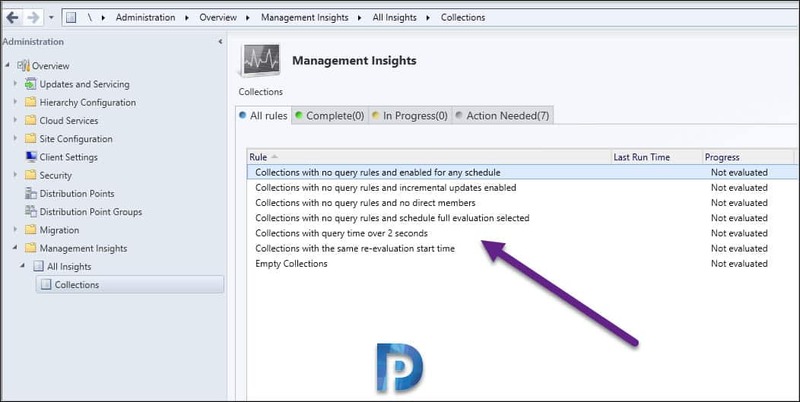 Under Management Insights you will find new rules for managing collections. Collections with no query rules and incremental updates enabled. Collections with no query rules and enabled for scheduled or incremental evaluation. Collections with no query rules and no direct members. Collections with no query rules and schedule full evaluation selected. Collections with query time over 2 seconds. Collections with the same re-evaluation start time. 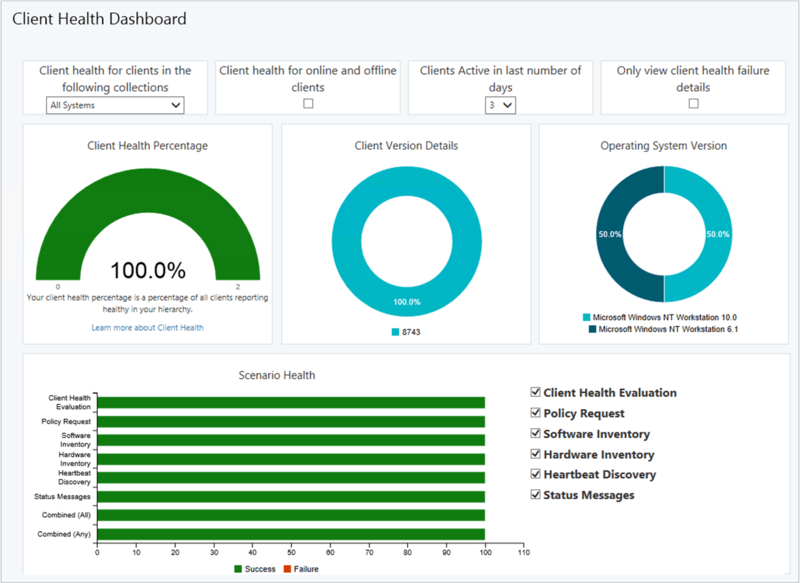 Using Client Health Dashboard, you can view about the health of Configuration Manager clients in your environment. In addition to that you can see scenario health, and common errors. There is a filter option to view by several attributes to see any potential issues by OS and client versions. To visit client health dashboard, go to the Monitoring workspace. Expand Client status, and select the Client health dashboard node. We have seen about Phased Deployment of applications in this post. In SCCM technical preview 1901, Phased deployments now have their own dedicated monitoring node. You can now track the deployment status using this dedicated monitoring node. If you have already created a phased deployment, go to Monitoring workspace. Select the Phased Deployments node. Right click one of the phased deployments, and click phased deployment status in the ribbon. To search device using MAC address, go to the Assets and Compliance workspace. Select the Devices node. From list of devices, add the MAC Address column to the view. Use the search field to add the MAC Address search criteria. This was one of the feature that I had requested to add to the version. I am glad to see that distribution point maintenance mode is already added to Technical Preview 1901. 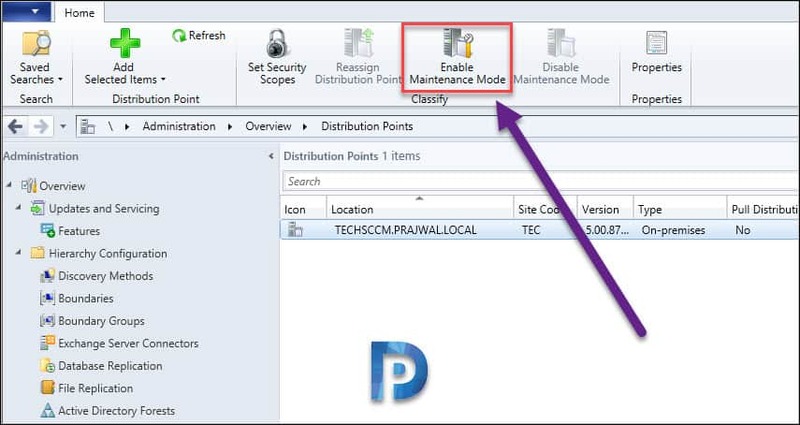 To enable maintenance mode, select the distribution point and on top ribbon click Enable Maintenance Mode. Distribution point properties are read-only. This is a very useful feature in technical preview 1901. Using this feature automatically create and configure virtual machines in Microsoft Azure with SCCM technical preview branch. It uses Azure templates to simplify and automate the creation of a lab using Azure resources. For more information, see Create a Configuration Manager technical preview lab in Azure. With this feature, you can now view the most recent connections for the Configuration Manager console. The view includes active connections and those that recently connected. 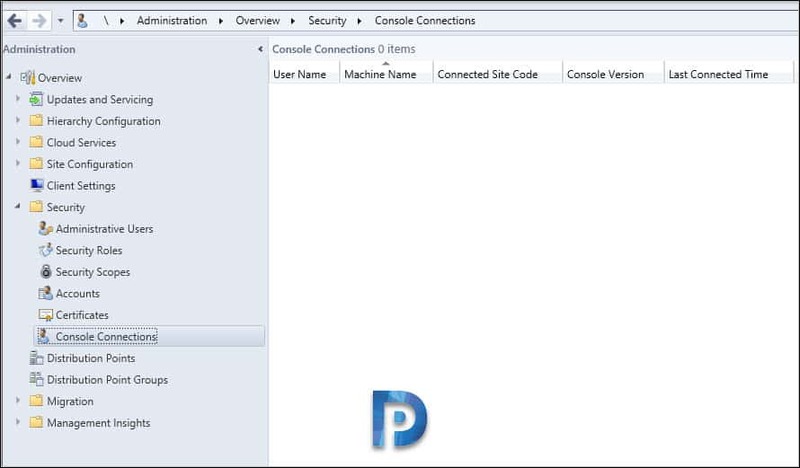 Go to Administration > Overview > Security and click Console Connections. Note that when you go to Console Connections, the SCCM console crashes. Therefore this feature is something that you cannot test it. However Microsoft SCCM Product team is aware of this and is working on it. There are lot of improvements done to Operating Systems deployments. Some of them are listed below. There is a new View action on task sequences. When the Task Sequence fails, it shows the name of the task sequence step that failed. Very useful when troubleshooting OS deployment failures. When you set the OSDDoNotLogCommand task sequence variable to true, now it also hides the command line from the Run Command Line step in the log file. When you enable a PXE responder on a distribution point without Windows Deployment Service, it can now be on the same server as the DHCP service.